CEO Doug Ulman explains how the new social tool puts the emphasis on overcoming challenges over time, something Lance Armstrong knows about. 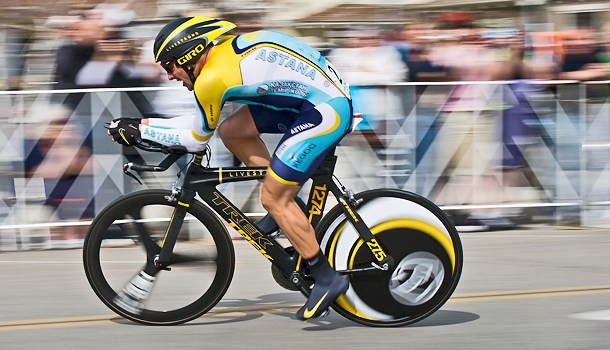 In 2010, when Fast Company profiled Doug Ulman, the President and CEO of the Lance Armstrong Foundation, Armstrong was facing a doping scandal. Allegations were never substantiated, and the case was eventually dropped. For a while, however, there were questions about whether the charity could survive without him. But even then, what stood out about the organization was not so much its fearless leaders as its communities of cancer sufferers and their families that Ulman and Armstrong helped foster. In many ways, it didn’t matter if Armstrong was found guilty of wrongdoing because the organization would survive on the strength of its own interconnectedness. All of that makes Facebook’s decision to enlist the Foundation as one of the first non-profits to test out Timeline brand pages this week more interesting. Timeline is about stories over time, not fundraising goals or metrics. 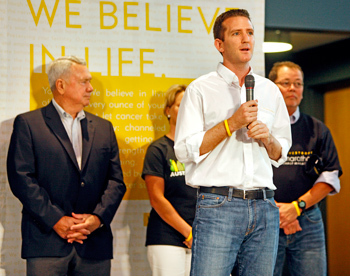 Livestrong has long put its emphasis on its constituents and the stories they have to tell rather than than numbers or dollars spent. And the idea that they’ve endured over time, even in the face of scandal involving its high-profile spokesperson, looks even more significant when laid out across a Timeline. “To have the capability of telling a story over time that people can actually engage with is really important,” Ulman told Fast Company on a call with Livestrong’s Director of New Media Travis Rimel. “It gives our users our fans the opportunity to reflect back on where they were when things happened,” Rimel added. In addition to providing a forum for reflection, as Facebook Timeline pioneers, Ulman and Rimel hope to serve as a model for other non-profit organizations facing the challenges of the social media age. Companies not only need to know what platforms to use but also how to use them and how to stick with them. That said, the enhanced ability to broadcast its message will serve as a boon to Livestrong as it tackles some big initiatives in 2012, including a campaign to support a California ballot initiative that would raise taxes on cigarettes and potentially bring in 855 million dollars to fund cancer research/prevention and smoking cessation programs.